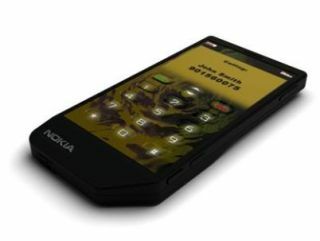 Nokia has decided that touchscreens need a makeover, and a wet one at that. Using water as a membrane in this concept handset, the phone's screen uses the liquid to raise and lower buttons in the relevant places. The main issue with touchscreens is the problem of accuracy when pressing the virtual keys. Haptic feedback, which produces vibration when the right area is hit, helps somewhat, but still doesn't allow for blind typing. Other capacitive options use slightly raised screens in places to help users, but these lose the lovely flush nature of devices like the Nokia 5800 and the Apple iPhone. The new concept can inflate and deflate as needed, which makes this gadget so futuristic it should be covered in foil and live on Mars. But guess what? This concept model has no release date to speak of. What are the odds?